This annual concert has become a Festival favourite due to the varied, enthusiastic and uplifting performances from the local children groups. Join singing groups from Broomfields Junior, Stockton Heath Primary, St Thomas’ Primary and Hill Cliffe Church who will perform in a Celebration of Gospel Music. Tickets: Adults £3, children under 12, £2, 7pm. Seating is unreserved and early booking is recommended. 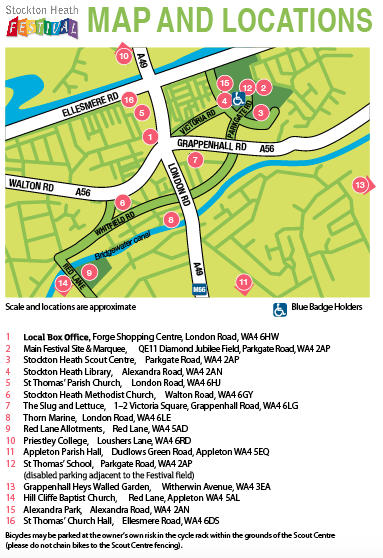 Here’s how to find Hill Cliffe Baptist Church, Red Lane WA4 5AL.